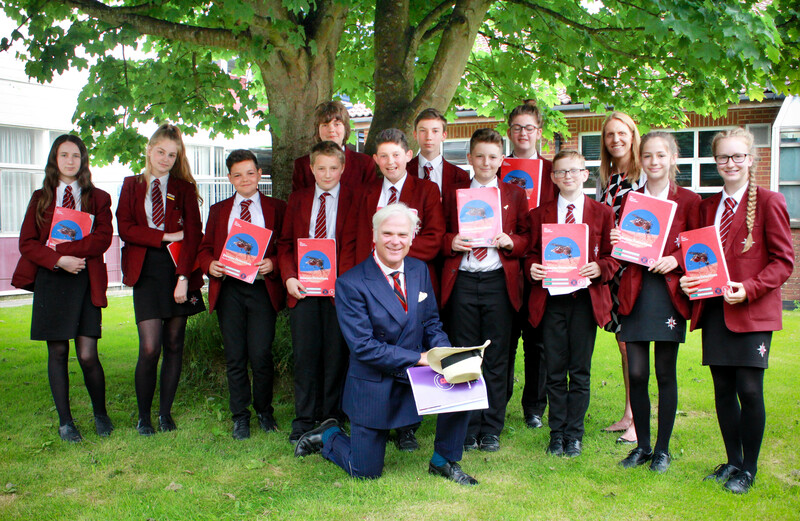 Local MP Desmond Swayne visited Year 8 students last week to hear about their progress and achievements as part of The Scholars Programme. This programme is a prestigious national scheme which gives students an opportunity to experience university-style learning. The aim is to recruit, train and place PhD researchers in non-selective state schools to deliver university-style tutorials based on their own research to small groups of students. The twelve students who are taking part in the programme are studying a course entitled Biology – Disease Detectives with their tutor Ahmed Salman from the University of Southampton. Students will also have the opportunity to visit two highly-selective universities, where they will receive information, advice and guidance about university life and making a successful university application. The Scholars Programme is run by The Brilliant Club, an award-winning charity whose aim is to increase the number of students from under-represented backgrounds progressing to highly-selective universities. An independent evaluation by the Universities and Colleges Application Services (UCAS) showed that nearly sixty per cent of students who complete the programme go on to attend a highly-selective university.